Hopelessly Devoted Bibliophile: Team Urban vs. Team Epic Fantasy - Entangled TEEN Event! 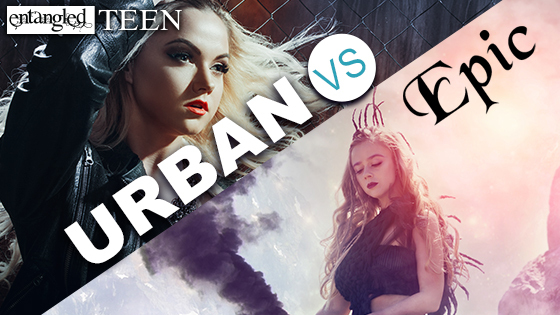 Team Urban vs. 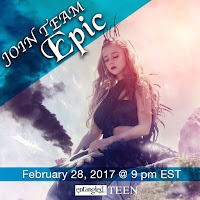 Team Epic Fantasy - Entangled TEEN Event! Are you a lover of Fantasy? Good. Now take that a bit deeper. Would you say that you fall more in the Urban Fantasy camp, or the Epic Fantasy camp? Most of us have a favorite, and this week Entangled TEEN wants to know which one you love most! This week our blog will highlight a little bit of this event every day. You can check out the whole schedule below! Friday, March 3rd: Bloggers and authors write/share posts about why they're team Urban/Epic and recommend some of their favorite reads! This blogger is settling herself on #TeamEpic for this challenge, because I have to tell you all that I'm in LOVE with good world building. I'm also head over heels for all of the books on this list. Which, of course, I'll be spotlighting for you this week! Oh, and in case you didn't notice, there's a KILLER giveaway right at the bottom of this post. Trust me, you want to enter this one. Good luck!